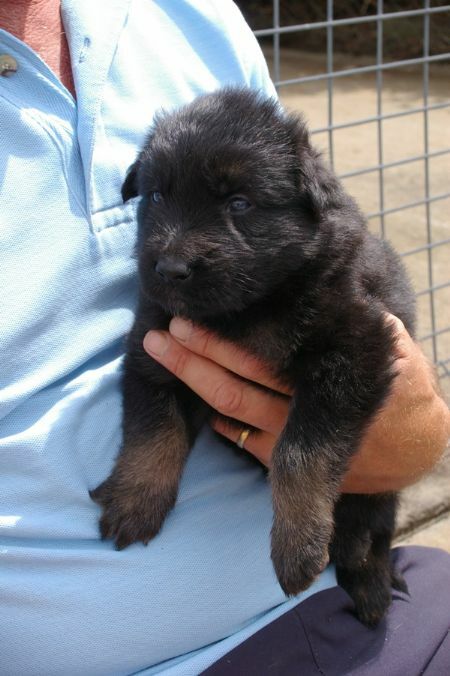 The overall experience purchasing a beautiful German Shepherd pup from ‘Leafield German Shepherd Dogs’ was positive. I was an interstate buyer and didn’t have the opportunity to meet the puppies and choose. I discussed with the breeder (Sherry) what I was looking for in a dog and she helped select a puppy that suited me. It was difficult not being able to meet my precious puppy straight away, however being updated with weekly information on pup’s progress and photos, made it easier and exciting, anticipating her arrival to her new home. We decided to name our pup Tilly. Sherry helped organise Tilly’s flight booking, providing quotes etc. Any questions I had were answered quickly through email, my preferred way of communicating. I’ve had Tilly for a month now and if I have any questions or queries, Sherry is still helpful and prompt at providing answers. I was also provided with a folder full of useful information and tips about caring for a puppy, training and other general advice. The folder also included flight booking confirmation, feeding guide, Tilly’s health record and certificate of vaccination. I and my two adult children were so excited for Tilly’s arrival, to finally meet this gorgeous pup. Tilly was understandably tired after the flight; however she was so happy to meet us. She was confident and calm when introduced to her new home, my other dog and the kids. She looked healthy and she was healthy, no problems what so ever. It was love at first sight; the weekly photos we received didn’t do her justice as she was more beautiful in person. Tilly settled in so quickly, it felt like she had been with us forever. She has such a lovely personality, she’s confident, calm, happy, full of life, playful, energetic, loving, gentle and very smart. In the month we’ve had her; she can now; sit, drop/down, come, stay and shake. She is eager to learn and picks things up so quickly. We have been socialising her, we’ve been everywhere; bush, beach, parks, river, schools, people’s houses, traffic, puppy school, BBQ, cafes, different people etc. She settles into a new situation quickly, we give her some time, support and encouragement and before you know it she gains her confidence and is ready for a fun experience. She just loves people and is really great with other dogs. We are so delighted and happy with our beautiful Tilly, she’s come from a fantastic breeder/family. We just can’t wait to watch her grow and to spend many happy years with her.